President of Liberia George Weah lined out for the national team in a friendly against the Super Eagles of Nigeria on Tuesday, aged 51. 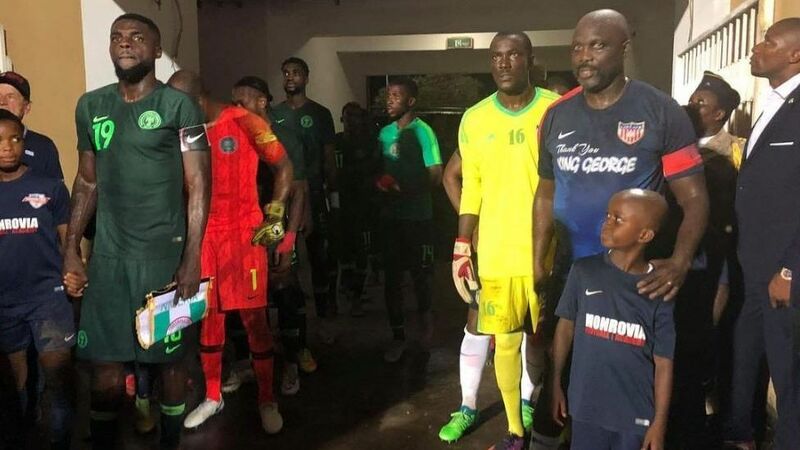 The Eagles were 2-1 winners of the friendly in Monrovia, which was arranged as part of the celebrations to mark the decision to retire Weah’s famous number 14 jersey. The former Fifa World Player of the Year played 79 minutes before he was substituted to a standing ovation. Weah was elected as Liberian president late last year and was inaugurated for a six-year team in January. 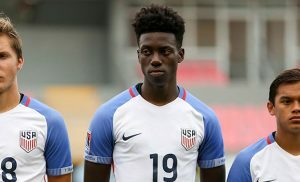 Over 5,000 miles away in Nashville, Tennessee, his 18-year-old son Tim was also in international action last night, starting for the USA in their 1-0 win against Mexico.